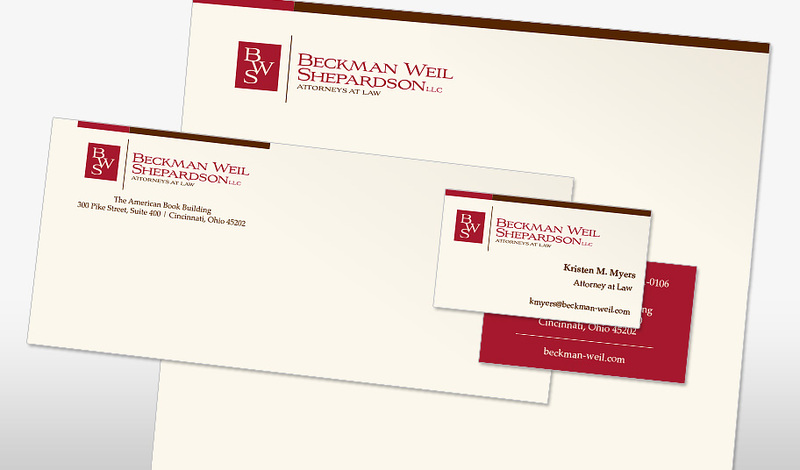 Beckman Weil Shepardson was a complete brand refresh from A to Z. We started with the logo, changing the colors from blue (that they had had forever) to a red and brown palette. We next did the design for each bit of printed material: letterhead, second sheets, several sizes of envelopes, business cards, notepads, etc. We created a style guide to show them which font and what size to use in different situations. 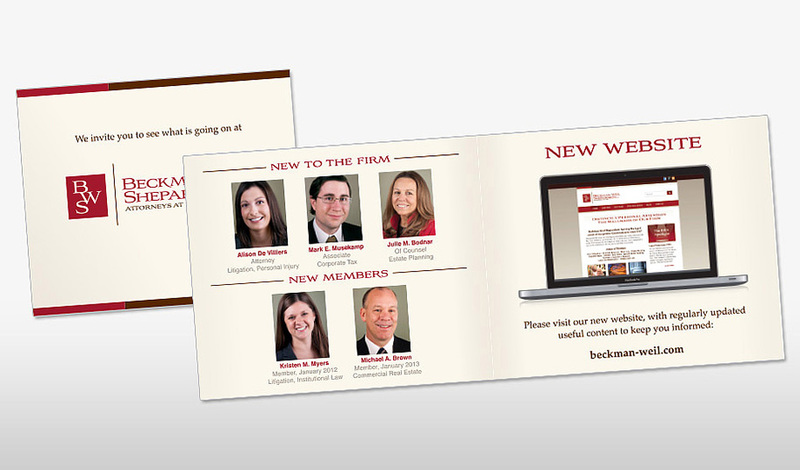 We did an announcement card to announce the new brand and several new people to the firm (and promotions). 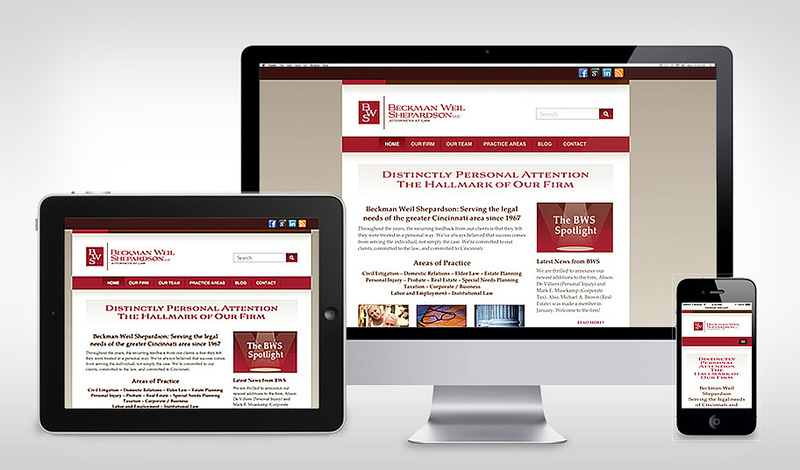 Then we designed their website with a blog and gave them social media graphics, as well as setting up their facebook, google+, and LinkedIn company pages. We made the website mobile-friendly. To complete the whole refresh, we designed their email signatures so everyone would look consistent. We think the finished products is professional but approachable, which is their company personality, and really cohesive.